Small girl in adventure park. 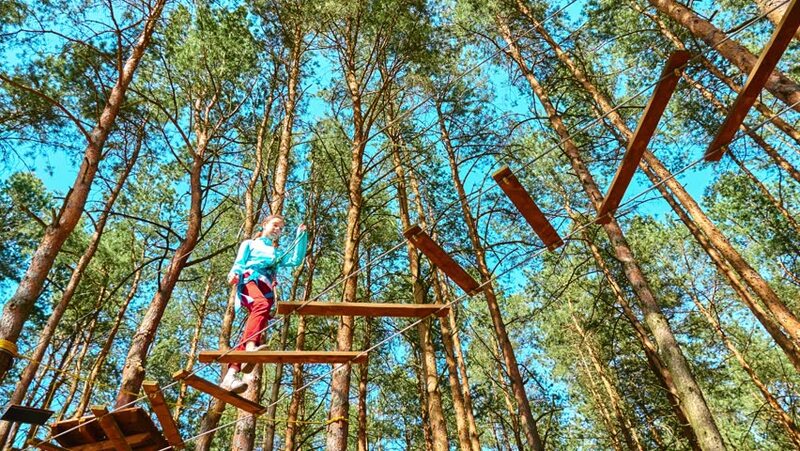 Adventure park is place which can contain wide variety of elements, such as rope climbing exercises, obstacle courses and zip-lines. They intended for recreation. 4k00:19Cage for canary on the tree. 4k00:11The tops of the trees in the autumn forest against the blue sky. The camcorder slowly rotates clockwise.